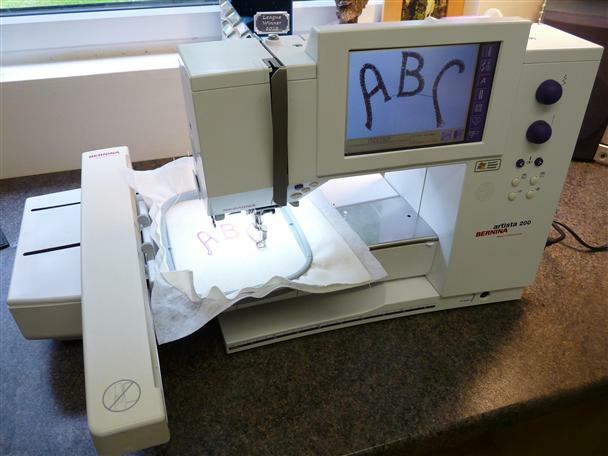 Bernina's Artista 200E is a computerized sewing machine that's actually controlled by Microsoft Windows - one of the first of it's kind in the sewing industry. It has a color touch screen with high-tech but intuitive controls that give you control of many hundreds of stitches and features. The machine is ideal with total flexibility and creativity. Boasting an impressive collection of 853 stitches, including 31 quilting stitches, 6 alphabets and 40mm motifs, there is a huge number of choices available that you'll find it hard to match elsewhere. The machine also has a range of 4-directional stitches which are perfect for decorative embellishments without turning the fabric around. In addition to this, there are 16-directional stitches, more embellishments and some quilting stitches as well. All the stitches offered by the Bernina 200E are programmable which means you can use any combination you like to create totally unique decorative designs. If you particularly like a design you can use the onboard memory to save your stitches and reuse again later, or browse through the history to see all the stitches you have used recently.